I cleaned another photo up a little bit. The color was pretty good on this one, but it had some other coloring damage in places. It has lots of little orange dots all over the place on the photo. I tried to clean some of them up as much as possible, but I don't have time to make the picture "perfect". 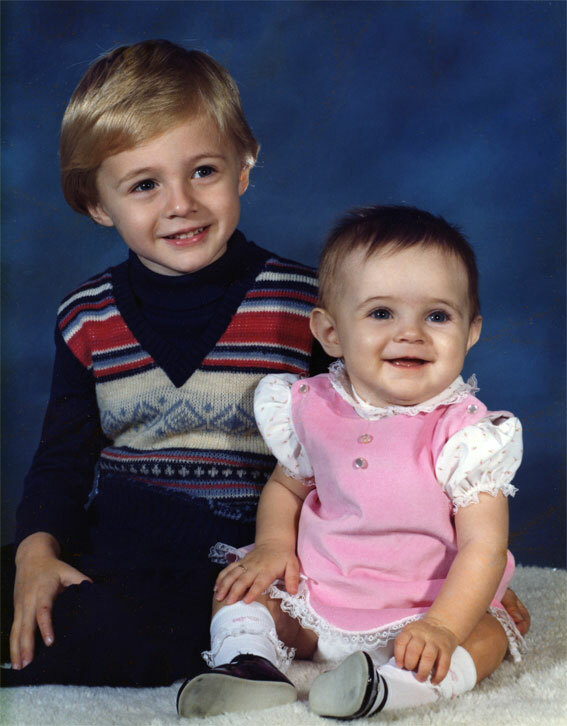 Anyway, here is a picture of me with my little sister Jennifer sometime in 1980. I'm guessing she's about 5-6 months here, but that's a total guess. She's turning 26 on the 3rd (Friday), so I thought it appropriate that I made sure to post this picture :).